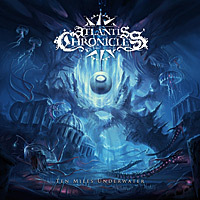 Arising from the heart of the earth, deep in the Atlantic Ocean ; ATLANTIS CHRONICLES explore the deep seas through their colorful, far-reaching brand of Death Metal. It is their very unique way to reveal the darkened abysses and lead the curious beyond the borders of the known world. 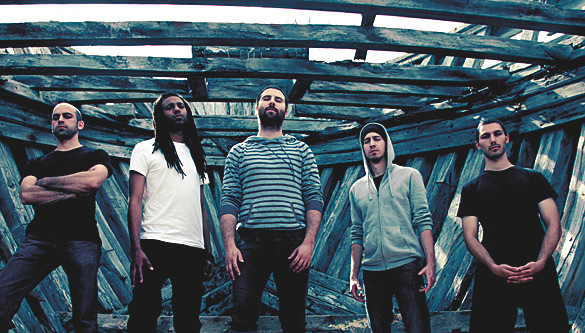 Formely known as "ABYSS", the band changed its name in 2010 for copyright reasons and at the same time added a new member as lead singer. They now dive ten miles under water, constantly seeking for strange creatures and forgotten myths. ATLANTIS CHRONICLES offer an immersion into the bottomless blue waters where the world is as ruthless as it is sublime. William Beebe was the first major undersea explorer. He went down to a depth of 923m in a spherical submersible single-seater that he designed mostly on his own: the bathysphere. "Ten Miles Underwater" is a concept album that blends reality and fiction to trace the descent of William Beebe into the unfathomable depths of the abyss. His downward spiral into darkness will bring him to meet the the fauna and flora, as frightening as they are fantastic, from within the confined space of the bathysphere. The high pressure and claustrophobia will cause him to lose his mental balance and will lead him to confuse reality and hallucinations. This album is a phantasmagorical dive where simple yet existential questions intermingle in the eyes and mind of a historical figure.